The Government hopes to start the next round of talks on the upgrade of the China Free Trade Agreement in the next few weeks, Trade Minister David Parker told the China Business Summit today. The fourth round of negotiations on the upgrade would focus on issues like e-commerce and service sector exports, which had grown substantially in significance since the original FTA was signed in 2008. "China’s commitment in some of its recent trade agreements has resulted in better access for service exporters," Parker noted. "A successful FTA upgrade would bring obvious commercial benefits to a number of New Zealand businesses," he said. But the upgrade could also demonstrate a shared commitment to free trade and a rejection of protectionism, Parker said. "We welcome comments by President Xi Jinping in defence of the international rules based order and, to encourage free trade, we welcome China taking steps to play a much stronger role in economic globalisation and open markets." Both Parker and Prime Minister Jacinda Ardern touched on the challenges for New Zealand in the current trade environment and the potential threat to the World Trade Organisation’s established rules. In a suitably diplomatic fashion, they stopped short of pointing the finger at the US although Donald Trump’s administration has caused some concerns, specifically with its blocking of the appointment of members of the WTO’s Appellate Body. There was a great deal of "uncertainty" in the global trade environment, Parker acknowledged. 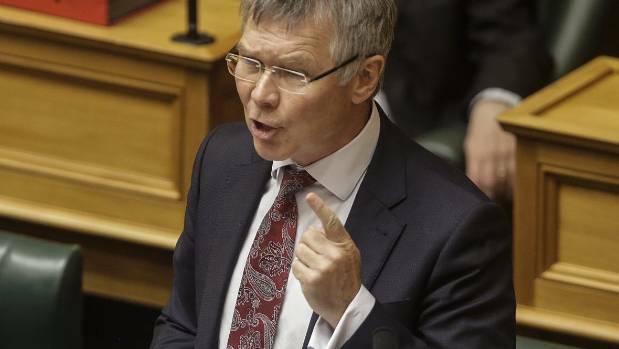 "It’s clear that actions taken by major trading nations - even if aimed at each other - will have significant indirect effects on New Zealand," he said. The current tensions did present challenges for New Zealand to negotiate, Parker said. "We do that carefully and diplomatically." "would be determined by our own independent foreign policy." There was a global conversation about issues of foreign interference and New Zealand as being very careful not to single out any one state in that conversation, she said. She also noted that New Zealand was not unique in discussions about these issues. "We have to make sure we have the infrastructure in place to preserve our institutions, our rule of law and the independence of our democracy."